Welcome to The Goodbread House. Where days begin with a sumptuous breakfast, and end with a satisfying sigh. Where romance lives and adventure awaits. 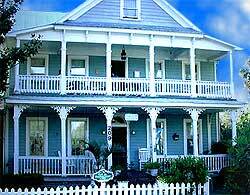 Where white picket fences join stately magnolias in a seductive symphony of the Old South. Yester year beckons, and memory making rules the day. Come taste the tranquility of a gentler time, and bask in the warmth of a gentler people. There is something about St Marys. Want to visit beautiful Cumberland Island? Let US make your ferry reservations and pick up your tickets for you! We can also provide you with picnic lunches for Cumberland Island! Available Space and Amenities: ALL ROOMS NOW HAVE SMART TV'S! Three Rooms, Three Private Baths, Kitchenette, Dining Room, (catering available by request) Parlor (Living Room), Full Kitchen fully equipped for cooking and serving needs with eat-in Bar and stools, Game Room, small Library, Outside Front Porch. Three Rooms, Three Private Baths, Kitchenette, coffee and tea stations, Outside Veranda. 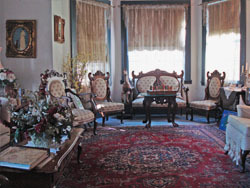 Includes a Full Breakfast, Social In The Parlour with Dessert, Sodas, Coffee, Tea, and Wine out all evening for Guests’ enjoyment. Please check out these links to other websites. For nearly two-decades, we�ve provided our guests with unparalleled customer service and attention to detail in order to create the best possible paddling experience. The ability to guide stems from my numerous life experiences in relationships, health and spiritual awareness, my education and training. 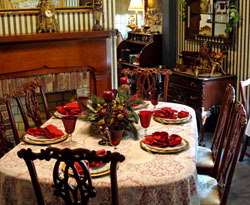 The Goodbread House Inn is the only Bed & Breakfast in St. Marys that is listed on this site. Find pet-friendly lodging, pet sitting, and other related pet travel services and information. Lifelong memories are created in St. Marys, Georgia. Imagine soft breezes that play through the branches of Live Oaks, the mist of Spanish Moss, endless breathtaking vistas and the ambience of historic romance for which this exquisite Southern town is renowned. Learn all about how to vacation with your pet at HowStuffWorks.